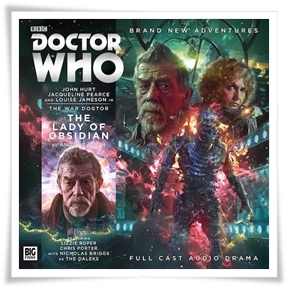 Leela’s return—pairing Louise Jameson with John Hurt—is a highlight of the Time War, both nostalgically and for the manner in which Andrew Smith brings her back. Unfortunately, there’s too much else going on. The story rattles helter-skelter around the moment.